It’s amazing what a difference you can make to a card or gift when you #makeitshiny. As Valentine’s Day approaches, hot foil printing can help you create beautiful, personalised items for your clientele. From cards to gifts, discover why hot foil is a golden opportunity to customise this year’s Valentine’s merchandise. Not everyone will make a grand gesture this Valentine’s Day, but the one item that’s top of the list for anyone who wants to declare their love, is a well-chosen card. Whether it acts as a token of affection between a long-married couple or a secret admirer, a Valentine’s card is a simple but effective way to say “I love you”. Without foil, Valentine’s cards would look rather dull and boring. Make yours special by gilding the letters with subtle metallic highlights, or go all out with a shiny design. Don’t forget envelopes and gift tags; by giving them the hot foil treatment, you’ll immediately signal that what’s inside is something to be treasured. For something that looks just a little bit different from the rest, why not experiment with your choice of hot stamping foils? Rather than opting for a classic silver or gold metallic effect, a coloured or even holographic foil will give your cards a truly individual look. 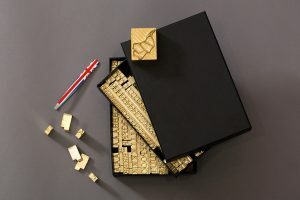 For an intimate Valentine’s card or gift, personalisation with brass type takes a gift from off-the-shelf to a thoughtful, bespoke present, with a simple application of a foiled name or message. Let your customers specify their choice of wording, for a gift their partner will truly love. Don’t forget to give yourself enough lead time to get your products personalised in time for the 14th of February. 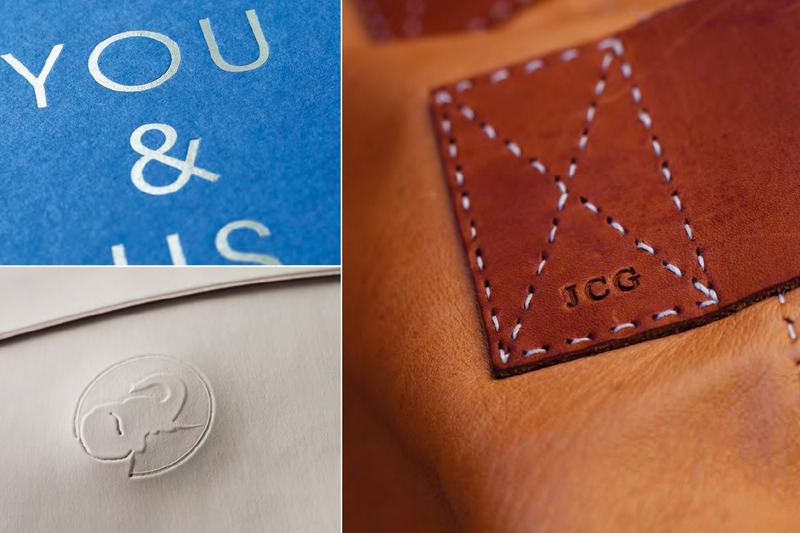 For something a bit more durable than a Valentine’s card, leather provides the perfect opportunity to offer a personal gift that will last a lifetime. Watch straps, handbags and bracelets are all wonderful Valentine’s gifts that can be easily customised with a debossed, hot foil design. Sometimes it’s the way a gift is presented that makes it so special. Companies that emboss labels, bags and boxes with a hot foil design send a message to their customers that their products really are luxurious. So, from the moment they hold their Valentine’s gift in their hands, they’ll know they’re being spoilt with an indulgent, high-end item. At Metallic Elephant, we manufacture high-quality hot foil machinery. Need something specific? Don’t hesitate to contact us on +44 (0) 1206 251221 and we’ll be happy to help.